Welcome to Australian Wildlife Journey's Trade & Media centre. 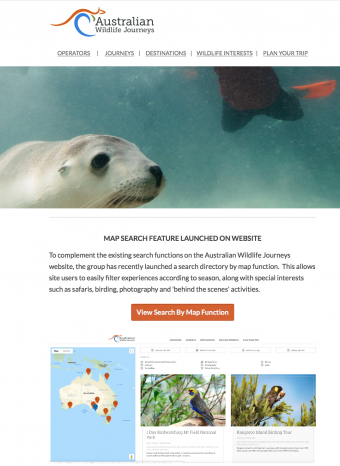 In addition to the resources found on this website, we hope that it will enhance itinerary planning, product ideas and provide general information on Australia's wildlife to share with your clients. 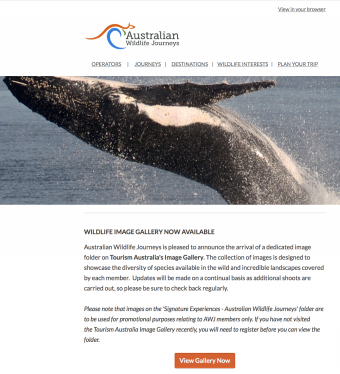 This publication contains a summary of the members of Australian Wildlife Journeys, along with the touring experiences being provided. Special attention has been placed on addressing seasonality by including regional viewing calendars for iconic species, along with logistical information related to each experience. A brilliant selection of images and films are available to download free from Tourism Australia’s image and video galleries. 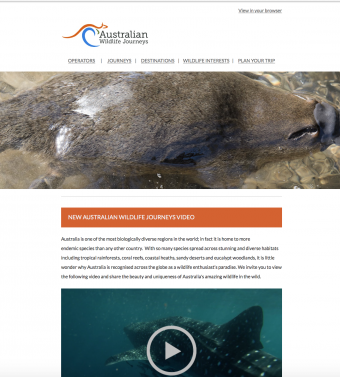 For our trade distribution partners, Australian Wildlife Journeys has a dedicated Aussie Specialist module. 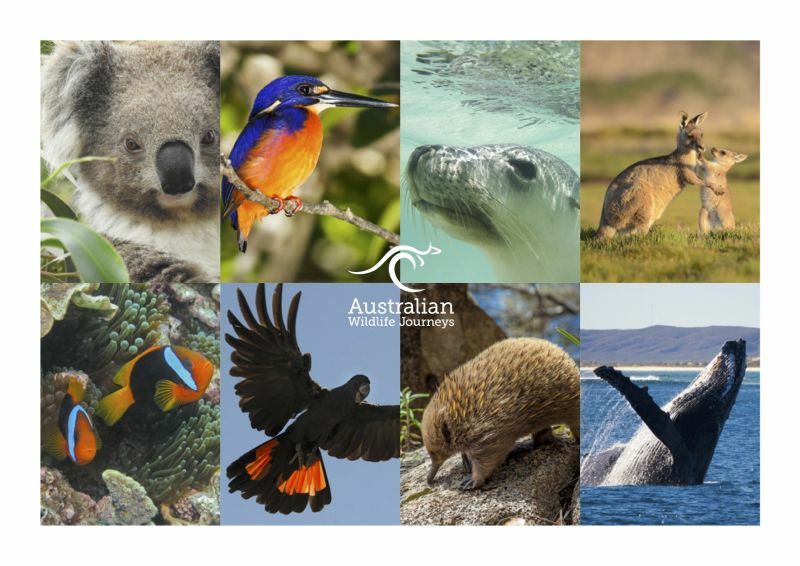 This module provides an overview of our iconic wildlife tourism experiences and viewing opportunitiies across Australia along with AWJ members.